We bought it originally as our holiday home so you’ll find lots of little extras that you often won’t find in other holiday lets. Pool toys for the kids, sun loungers for round the pool – plus board games, CDs and DVDs for all ages, to keep you amused if you just want a quiet night in. The resort is just 5 minutes drive from Los Alcázares and the fantastic beaches of the Mar Menor. The resort is secure and beautifully kept with fantastic gardens and pools everywhere. Onsite there are lots of sports facilities including tennis, padel tennis and a small, but well equipped, fitness centre. Oh – and I almost forgot to mention the 18-hole golf course. Why do you love the area? Because it’s beautiful. Murcia is Spain’s best kept secret and for many years it was just the Spanish who holidayed in the area. Over the last 20 years the more discerning holiday-maker is choosing to come here in favour of its northerly cousin, the Costa Blanca. The Costa Calida and Mar Menor is quieter than the Costa Blanca, but there is a buzz about Los Alcázares in the summer that I love – but you can still find a quiet spot somewhere. There is something for everyone. It doesn’t matter what your age is, whether you want a quiet relaxing holiday or an activity-based one. There are miles of quiet sandy beaches and 20 golf courses all within an easy drive. But it isn’t just about beaches and golf! There are lots of other sports from sailing to horse riding, and the mountain ranges are just a few miles inland with spectacular scenery. Plus the historic cities of Murcia and Cartagena are within easy reach for a cultural outing. Who would you recommend this property to? All ages! There’s something that appeals to everyone at Roda and in Los Alcázares. We've had families with young children who love the pool and beaches, but teenagers love it too as there is plenty to do in the evenings. 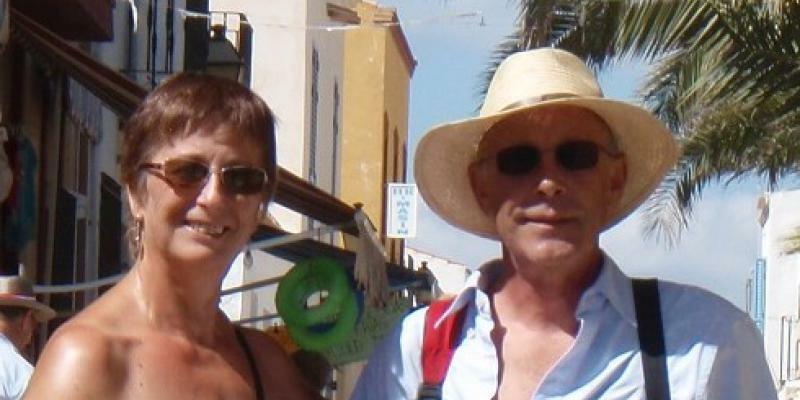 We've had middle aged and retired people who just love the tranquillity and security that the resort offers. If you have young children the beaches are ideal. The Mar Menor is an enclosed lagoon with no dangerous currents making the water safe for children of any age. It has warm, shallow waters which are always 3-4 degrees warmer than the Mediterranean and the beaches are great – clean and sandy and many have the prestigious "Blue Flag" award. As well as being shallow, they are gently shelving making them good for young children. 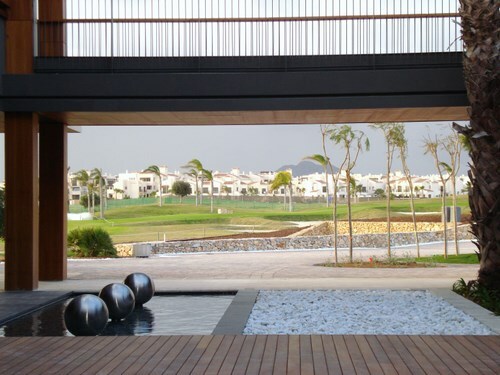 Roda is also a golfer’s heaven. The course is fast becoming the best in the area. The PGA (Professional Golfer's Association) is based at Roda so there are lessons available for adults of all abilities and they cater for children too. You don’t just have to play at Roda though as there are a plethora of courses all within 45 minutes drive – including the famous La Manga. Talk us through your routine for making sure your property is perfect for your guests when they arrive. Two weeks before our guests are due, I send them an email to confirm arrival time, provide directions from the airport and let them know that we’ll meet them at the entrance to the resort. There’s nothing worse than just being told where your apartment is (and not being able to find it) and to collect your key from a lock box. We like to add that personal touch for our guests. We also provide a complimentary welcome pack of toiletries, food and wine, so I ask what they would like in the pack. We also offer a personal shopping service, so that guests don’t have to scurry out to the supermarket as soon as they get here, and can just relax and settle in when they arrive. On the day of arrival we do a thorough clean of the apartment. I’m very picky – some would say fanatical – about cleanliness so I make sure every nook and cranny is clean. I even make Mike dust the top of door frames every time – he has to do it as I’m not quite tall enough! All the patio doors get polished as well – there’s nothing worse than smears and fingerprints to put you off when you arrive. And finally, I check that the TV, DVD, stereo and Wi-Fi are all working so guests can keep in touch with home if they need to whilst they are staying at our apartment. Finally, give us a recommendation for your favourite local bar. I love going down to the beach at Los Alcázares where you can watch the world go by, have a swim and grab a tapa or snack at one of the chiringuitos (beach bars). By night there’s a totally different atmosphere. 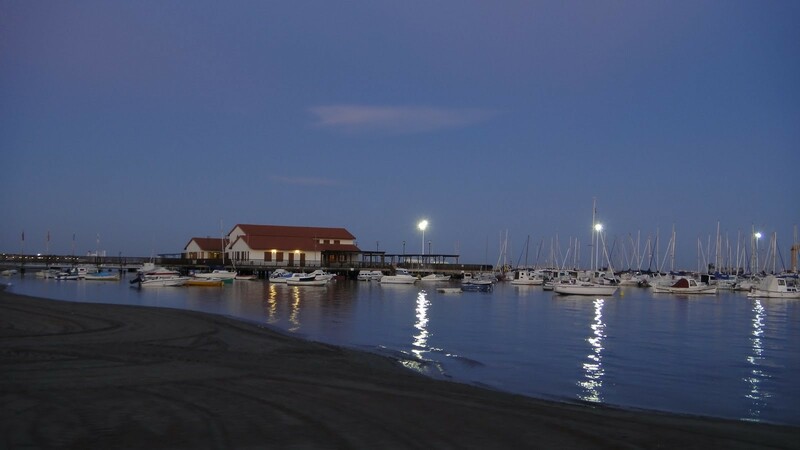 In the evening you can either just have a drink by the marina – but we like to eat at La Encarnacion where you have a choice of 3 different areas to eat: on the patio overlooking the beach; in the traditional restaurant; or in the courtyard. The courtyard is utterly amazing – with jasmine and bougainvillea growing all the way up the wall.